We've received a number of enquiries from people who are looking for help with their own projects and we're thinking of ways in which we can offer that help. If you have a project you'd like to discuss please let us know what stage of concept or design you're at, when you hope to start build, and where your house will be built. If you have a media enquiry please click here to view previous coverage, media packs, and a contact form to get in touch with the comms team. The Building Envelope page discusses the importance of a high-performing building envelope and includes a video commenting on the use of the green roof. We’ve installed a green roof between the main house and the garage. As well as being nice to look at, it provides a stable thermal mass that performs to a similar level as a concrete slab. It is extremely watertight – it’s even used in ponds to contain water. 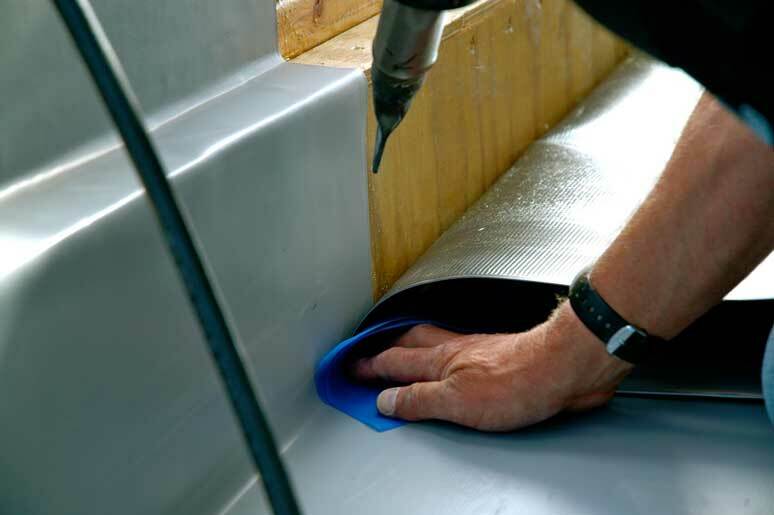 Joins are heat-welded which eliminates the need for oil-based lap tapes and primers. 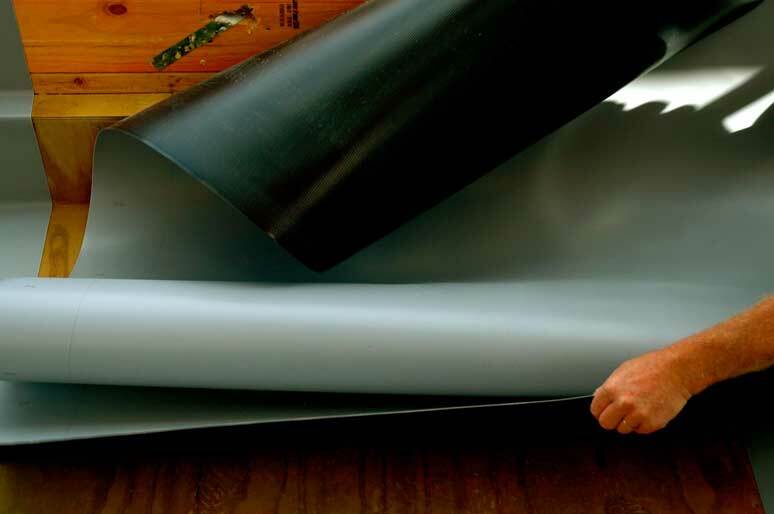 It is puncture resistant to a level that rivals bituminous membranes, but isn’t made from bitumen so is 100% recyclable. It's also well-tested, having been installed in over 800 projects throughout New Zealand. Rolling out the membrane. The wide membrane width means less joins are required. Measuring for the trough width. First panel laid in the trough. Rolling out to glue the membrane down. The membrane is glued to the wooden trough to ensure an even fit. Applying glue to the base of the trough. One of the membrane panels laid out with glue backing. One of the two joins required in the trough. Folding back the panel to apply adhesive. Applying glue to the underside of panel. Heat-sealed join with view of full length of the trough. 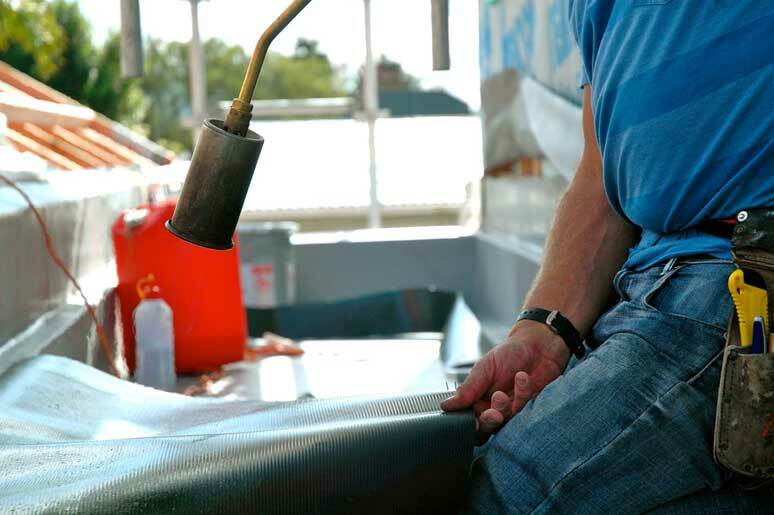 Applying heat to the back of the membrane to improve adhesion. The membrane used in the green roof is the Enviroclad product from Viking Roofspec. It's an extremely watertight membrane, which protects the timber from moisture in the soil. 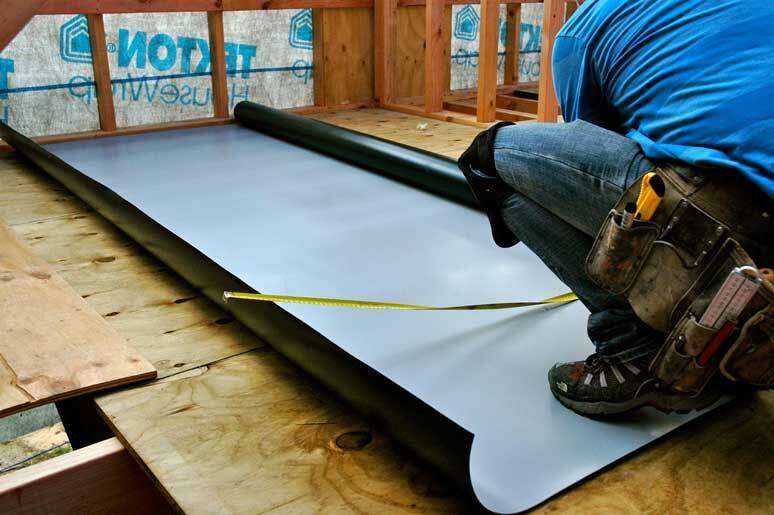 It's a non-bituminous, recyclable product and seams are heat welded which means we can keep oil-based joiners out of the soil. 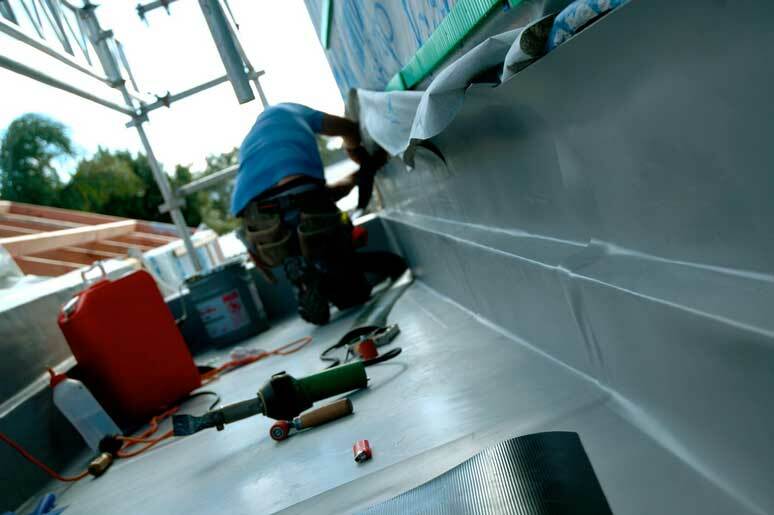 The goal of the Zero Energy House project is to improve the quality of housing in New Zealand. We work towards this by sharing details of the house design, construction, performance, and costs so other people can build their own. To be kept up-to-date subscribe using one of the channels below. We have two options for email subscriptions, which you can select. One is from from Evident, a company founded by Shay and Matt that emerged from the Zero Energy House project. Read more here and here. Please send me updates about the Zero Energy House. Please send me updates from Evident (residential and non-residential content). Thanks! Please check your eMail for a confirmation link to complete signup. If you've subscribed to both ZEH and Evident updates, you'll receive a confirmation email for each.